We are able to bring your drilling performance to new heights, without having to leave the ground. 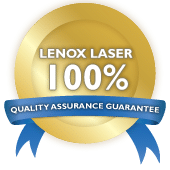 We've developed advanced laser systems and processes for optimizing tolerance, speed, delivery and cost effectiveness. Our industrial engineering team has developed services for the optical field, semiconductor field, aerospace technologies, the automotive industry and pharmaceutical processes with laser drilled calibrated microhole leaks for use in CCIT (Container Closure Integrity Testing).